With great joy and humbling awe of what the world of dance has granted us, we are pleased to introduce ourselves as the Owners and Directors of Synergy Dance Academy. We have spent a lifetime working and dancing together. From the moment we met, (dancing at the same studio during grade school), we shared a common vision of what dance is, what it should be, and most importantly, how to bridge that gap which seems, at times, daunting and insurmountable. We have spent our career building programs. First, with the STARS program from 1998-2004 as competition coaches. In 2000, we were thrilled to see the studio be awarded its first national championship! The years followed with more local, state, and national titles. After college, in 2005, we ventured out on our own with the dream of building another successful program. Synergy started with 1 location and 75 students. It has now grown to 3 locations and almost 1,000 students! Synergy is known for taking top awards at competitions and producing dancers highly skilled in jazz, hip-hop, and contemporary. In 2010, we took another leap together as we dove into the beautiful and intriguing world of high school drill team. As co-coaches, we took over the Azurettes at Copper Hills High School and lead them to their first State Championship Title and National Championship Title. The Azurettes are now the current State Drill Team Champions of Utah. Marking their 6th consecutive win! Between us, we have college degrees, professional dance work, countless choreography awards, endless studio awards, worked with masters in the field, college dance team/company training, and much more. However, there is something much more important that makes Synergy different from other programs. The key to our success . . . why we create successful programs, time after time . . . is best expressed by our name-sake. Synergy- “The whole is greater than the sum of its parts”. Each person working at their best within our program enhances the person standing next to them. This is the 3-yr-old taking class, despite the fear of leaving mom’s side, that inspires her teacher to be more compassionate. This is the instructor that dances full out, igniting a desire in her students to push further. This is the tumbler who falls and gets up to try again, that inspires a teammate to never give up. Our students at Synergy learn to set goals, work hard, self-motivate, be compassionate, and along the way . . . inspire someone else to learn those same lessons. As our studio continues to grow, the accountability of each individual intensifies. Our ability to inspire reaches further as does our responsibility to make a difference. We do what we do for the pure love of dance, how that love can affect a student, and how that student can affect the world. Joelle Banford is from Salt Lake City Utah where she trained as a young dancer under the direction of Penny Broussard at “The Winner School”. Joelle was awarded full dance and academic scholarships, and then graduated with a Bachelors Degree from Utah Valley University. Joelle has instructed dancers of all ages from core-fundamentals, to competition choreography for nearly 2 decades. Early in her career Joelle traveled as an instructor with USA (United Spirit Association), teaching dance teams and leadership camps throughout the United States. Joelle has instructed for several studios, schools and universities – Joelle is currently the competition director at Synergy Dance Academy. Joelle’s soloists are decorated on many levels however the reward comes after seeing her students push beyond themselves; working intensely—and then them realizing their noticeable growth and improvement. Joelle believes that this type of growth can only be accomplished in the short “solo” timeframe through dedication and investment. Joelle had the incredible opportunity to assist Monica Campbell while teaching Diavolo Dance Company technique classes for University students. Having this experience sparked a passion for choreographing with a focus on sets and structures. Joelle has created a “conditioning for dancers” curriculum, strengthening her students physically as well as mentally. These techniques have been applied across many different dance genres and styles. Joelle’s choreography awards include “Top Convention,” “Best Direction,” “Best Choreography” etc. During 2015-2016 Joelle coached with Shannon Mortensen as the Copper Hills Drill Team earned their 4th consecutive State title. Joelle has worked with the best on several occasions, while teaching technique workshops to the BYU Cougarettes she also choreographed a piece for their 70th anniversary concert. 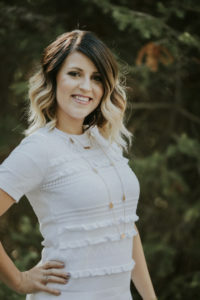 Currently Joelle is providing specialty technique instruction to the national champions – The UVU Dance Team (UVDT) – these popular specialty technique classes not only focus on turn technique or leaps, but building body awareness and a positive mind/body connection (#dancewithjoelle). Joelle is grateful for the success she has had with her students as they have created opportunities for her to continue having this beautiful art form in her life. Tiffani Barney trained at Children’s Ballet Theatre (CBT) with Julie Orlob and Stacey Orlob-Richins (Par Excellence Award). There, she also learned from Bart Cook and Maria Calegari (NYC Ballet/ Repetiteurs for The Balanchine Trust and the Robbins Rights Trust). She later trained at Ballet West, Ballet Conservatory of Salt Lake City, Ririe-Woodbury Dance Company, Repertory Dance Theatre, the University of Utah, in LA at Long Beach University and in New York City at STEPS and Broadway Dance Center. 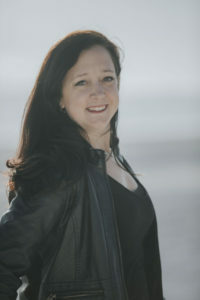 In high school Tiffani was the President of Skyline Dance Company, recieved the Sterling Scholarship in Dance for her school, and started teaching ballet. After high school she continued her teaching and choreographed for various dance studios, community performances and Cottonwood Arts Council. She also started a company called “Flashmobs For You.” Tiffani has performed in many full-length ballets including Swan Lake, Sleeping Beauty, Cinderella, The Nutcracker and danced in productions at Disney Land, Knott’s Berry Farm, with the Utah Symphony and at Carnegie Hall in New York City. 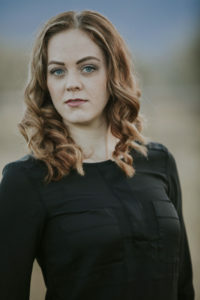 She earned her BFA degree in Musical Theatre and a Minor in Modern Dance from the University of Utah where she learned from professionals such as Conrad Ludlow, Bruce Caldwell, Sue Samuels, Denny Berry, Carol Schuberg, Daniel Squire, and Wilhem Burmann. She was the recipient of the Utahnna B. Meilstrup theatre scholarship and performed lead dancing roles in the University’s productions of The Wild Party (Jackie), Songs for a New World (principle dancer) and Pomp and Circumstance (Tiffani). Tiffani is currently a working performer and continues to train with experts in the dance field. She loves teaching and works to inspire her students by helping them raise their self-confidence through physical and artistic achievements. Marnie has been dancing since she was 3 years old. She has studied in jazz, ballet, and contemporary. She also has experience in cheer, tap, clog, hip-hop and ballroom. She has been teaching dance in studios and private schools since 2000. Her favorite parts of teaching are being with the students and using her creativity to generate new and fun routines. In high school, Marnie had the opportunity to be a member of her schools dance company and cheer teams. While on these teams she was chosen to be a choreographer for company numbers and half time routines. She took her love of dance to college and continued to study Jazz and Ballet at both Salt Lake Community College and the University of Utah. 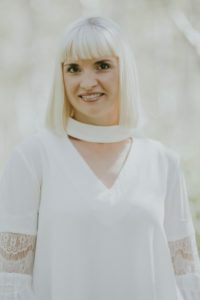 She graduated from the University of Utah with a Bachelors of Science in Communication and her Secondary Teaching License. After graduating from the University of Utah she worked as a Teacher at Stillwater Academy where she was able to start and run dance classes. She also taught dance at another private school La Europa Academy. While teaching school she found time to also work as a dance instructor for local dance studios. She has been with Synergy since 2008 and loves being a part of the Synergy Family. She currently runs the daytime program and loves working with the young children. Danielle has been trained in ballet, jazz, modern, lyrical, contemporary, hip hop, tap, ballroom, pointe, and tumbling. 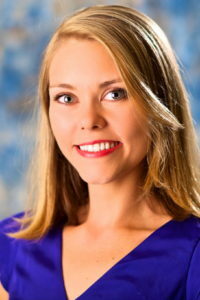 She was a member of West Jordan High School dance company for two years where she became the West Jordan High School Sterling Scholar for dance in 2009. During her senior year of high school, Danielle was an assistant with Hollywood Vibe and travelled to numerous competitions and conventions. She, also, assisted with Celebrity dance competitions during their “Nationals at Sea”in 2009. Danielle’s film credits include High School Musical 2, High School Musical 3, and MTV’s American Mall. After graduating, Danielle was selected to become a company member with Odyssey Dance Theater. With Odyssey, Danielle performed in productions such as Thriller, It’s a Wonderful Life, Redux, Nutcracker, and the Shut Up and Dance spring season. While with Odyssey Dance Theater, Danielle completed seven seasons and five European tours. Danielle was chosen to work with choreographers such as Mandy Moore, Christian Denice, Kenny Ortega, Bonnie Story, Brandon Bryant, Dee Caspary, Travis Wall, Ryan and Ashleigh Di Lello, and more! Danielle performed with Divinity Dance Company in 2012 and has recently explored her contemporary side dancing with Oquirrh West Project. 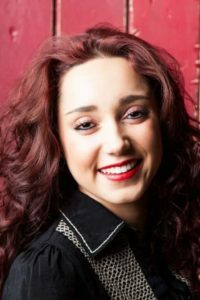 Danielle began teaching at Synergy Academy in 2010 and has many years experience teaching and choreographing for studio competition teams, drill teams, and soloists. She loves learning new and unique ways to inspire and educate her students in their artistry. Her choreography has won numerous high points, overall awards, and choreography awards and she couldn’t be more thankful for all the students she gets the opportunity and experience to work with. 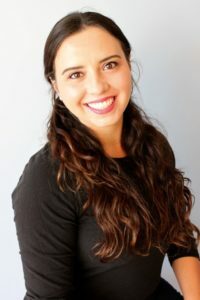 Danielle teaches to pass on the knowledge and experience she has gained, to kindle passions and nurture growth in the up and coming generation. Danielle is dedicated to the art of dance and takes every opportunity to learn new techniques and perspectives. She strives to share those with all who share her passion. My greatest passion in life is teaching, whether it is teaching my daughter at home or teaching my kids at dance. The moments I live for is those “ah hah” moments when everything clicks and the magic happens! The joy that I get from seeing the hard work of my students pays off is what keeps me teaching. I love to see the kids who share the same passion that I have for dance- the kids that NEED it. I absolutely love all of the Synergy dancers and parents! 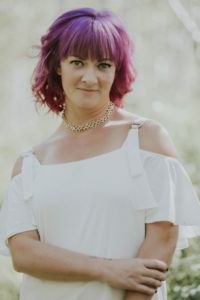 Brooke has been dancing for 21 years with 8 years teaching experience. She has trained in ballet, jazz, hip hop, tap, modern, lyrical and contemporary. She has studied from people like Travis Wall, Dee Caspary, Ray Leeper, Mandy Moore, Mia Michaels and more. She has had the opportunity to perform in shows like Ballet West’s The Nutcracker. In high school she was a Dance Company Officer and Choreographer. She has had the opportunity to choreograph for multiple high schools in Utah. She has received numerous awards for choreography as well as high points and overall awards. The stage has always been my life and my love (in addition to my family)! I love to perform and help others develop a passion for performing arts. I am very dedicated to my work here at Synergy and always strive to be the best, and definitely the most fun, teacher I can be! Erin has been performing and teaching for many years. She has an extensive background in musical theater, as well as various styles of dance, vocal performance, and acting. She was a member of her high school drill team and madrigal show choir and was awarded a college theater arts scholarship to Dixie State College. She has been in over 30 theatrical productions and has worked for professional theater companies including Tuacahn, in Southern Utah. Her most memorable roles include “Rosie” in Bye Bye Birdie, “The Witch” in Into the Woods, “Julie” in Saturday’s Warrior, “Martha” in The Secret Garden, and “Connie Miller”Â in 1940’s Radio Hour. 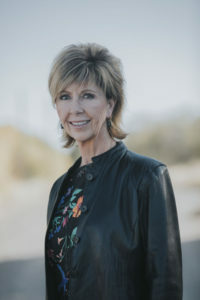 She has won various awards for her vocal abilities and has performed with many renowned musicians, including Jeff and Michael McLean, Janice Kapp Perry, Roger Hoffman, John Canaan, and Bryce Neubert. In addition to the stage, Erin also has experience in the TV/film industry. Her credits include various TV commercials, print ads, and films, as well as several television interviews. She can be heard as the singing/speaking voice of “Daria the Princess”Â in the animated series Pig Tales (A Princess and the Pea Series), by Feature Films for Families. 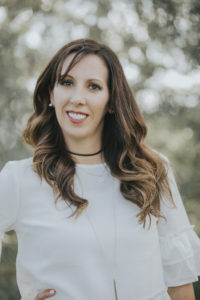 In addition to teaching at Synergy, Erin also teaches private voice lessons and is a mother of five children, the oldest of which is now an angel in heaven, and the youngest are twins. Kylie has been dancing for 18 years and choreographing for about four years now. She has been apart of the Synergy family since the age of 7 and has received training in ballet, jazz, contemporary, hip hop, and modern. Kylie is currently teaching at Synergy and coaching for the Copper Hills High School Drill Team. 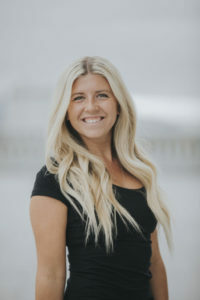 She has been apart of the nationally ranked Utah Valley University Dance Team, the University of Utah Dance Team, Divinity Dance Company, and the state title holding drill team at Copper Hills High School. In high school, she earned the title Miss Drill Utah in 2014, and also held a captain and president position on her drill team. Kylie has received numerous awards throughout her years of dancing from conventions and competitions, and has traveled throughout the state of Utah to choreograph. 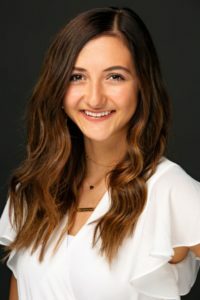 She is currently a senior at the University of Utah and will be graduating in Spring of 2019 with a bachelor’s degree in Kinesiology and an emphasis in Fitness and Wellness. Kylie wants to pursue her career as a fitness and wellness coach while incorporating the art of dance. Alexa has always had a passion for dance and in the last few years that passion has grown becoming a teacher. The growth and shared passion for dance in her students is what makes every moment worth it. Alexa has been training for 20 years in various styles including jazz, contemporary, lyrical, ballet, hip hop and tumbling and has been teaching for 8 years. She has loved competitive dance since she was young and continued that love by joining her high school drill team for 4 years. She became the first head caption as a junior and held that position for both her junior and senior years. Out of high school she immediately began coaching. She coached at Hillcrest High School for 3 years and then was able to coach at Copper Hills High School for 2 years where she won 2 state championships. 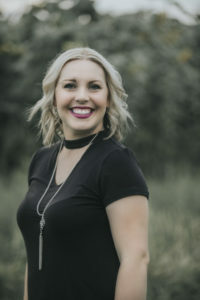 She loves working with high school drill teams as a choreographer, and has choreographed many award winning routines in Utah, Idaho, California and New Mexico. Along with studio choreography throughout the state of Utah that have won many titles. 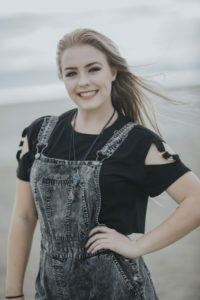 She has also choreographed many solos that have achieved high rankings, including high points, overall awards and top 5 in the Miss Drill Utah Pageant and winners of the Miss Drill Utah Teen Pageant. Choreography and drill team have always been a big part of Alexa’s life and will continue to be as she works with studios, drill teams and soloists. Now, over the last two years Alexa has been teaching at Synergy Dance Academy and has become even more passionate about studio training. She sees so much in her students and loves every moment she gets to work with them. She appreciates and looks forward to creating experiences with new students and choreographers. Jami Hodges has over 35 years of dance experience ranging from dancer, choreographer, director and judge. She has trained in jazz, ballet, contemporary and tap but her passion is for lyrical and telling a story through choreography. Jami’s love for dance spreads beyond the studio classroom and into the competitive world where she has been a competition judge for over 20 years for both studio and drill. Jami is a highly sought-after judge for studio and drill teams across Utah. Jami spends much of her time working with high school drill team coaches to help them get the most from their dancers and choreography. 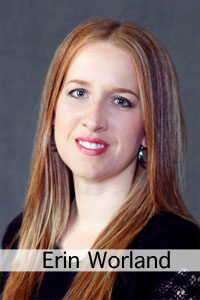 Jami is also the owner and director of the Utah Dance Expo and Assistant Director of the Utah Dance Review. Jami’s choreography has won multiple top awards at competitions across the state. She continues her training by attending multiple dance conventions and workshops each year. Jami shares her love for dance with her three beautiful daughters and one very supportive husband. She is honored to learn and create next to some of the best choreographers and instructors in the state with the teaching staff at Synergy Academy. “I teach because I want to provide beginning dancers with a proper foundation in an atmosphere where they feel loved and an important part of the class.” Dance was a huge part of Michele’s life growing up. Everyone who knew her, knew she was a dancer. It provided opportunities especially in high school that she wouldn’t have had otherwise. She was a leader in Drill Team and Dance Company and had an in-home studio with students ranging from 3 to young adults. Dance was her “talent”Â portion of the many pageants she participated in and she received accolades for her performance flair. She made sure her two daughters received the best training possible and has thoroughly enjoyed supporting their dance careers. I believe that dance is the ultimate universal language. Through dance one can communicate any emotion, tell any story, and share pieces of the soul with others. Teaching allows me to help others develop that communication skill and enjoy a passion that can be shared with everyone. Tara has been dancing nonstop since she was three years old. She trained with Winner School, Pulse 31, and Dance Etc, and then moved on to Drill Team in High School where she was an All Star. In College she was part of the Dixie College, Rebelettes, where she was one of the main choreographers, and a member of Prostreet Entertainment, a professional group, with Westside Studio of Performing Arts. Tara has had many amazing opportunities to study in Master Classes in L.A at Tremaine, Edge, and Millenium studios, participated in the CNADM (Chicago National Dance Masters) program in Chicago, and studied in NYC at the Broadway Dance Center, along with many dance conventions with famous choreographers from around the globe. Tara has had wonderful opportunities to perform at NFL and NBA games, Disneyland, Disneyworld, as well as special performances with Kurt Bestor, and even toured with a local Rap/Hip Hop Artist as a dancer/choreographer. 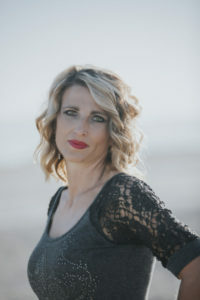 Tara has been teaching dance for over 15 years and enjoys all age ranges and styles including: hip hop, tap, ballet, jazz, contemporary, and modern. Her choreography has won many awards throughout team competitions. Haiden Perrine is from Salt Lake City Utah where she trained under the direction of Shannon Mortenson and Meghan Honey at “Synergy Dance Academy.” Haiden’s early training includes numerous conventions and masterclasses by the industries top choreographers such as Jaci Royal, David Moore, Liz Imperio, Eric Saradpon, etc. She performed several years as “Chucky” in Odyssey Dance Theaters production of, “Thriller” Directed by Derryl Yeager. In High School Haiden was a member of Copper Hills Drill Team winning 3 State Championship Titles. Haiden has also had massive success as a soloist for studio and drill team. She earned numerous high point, technique awards, 2 time overall 5A soloist, and All State Drill. Haiden began her journey as a teacher and choreographer assisting Joelle Banford for several years traveling and creating routines. She has now instructed dancers of all ages, specialized technique classes, choreographed competition routines of all styles throughout the United States. Haiden’s creativity, passion, and love of dance is contagious to anyone that has the opportunity to be around her. She is a loving teacher that truly prides herself on the growth of her students. “I teach because I love watching the children learn and grow! Teaching the basics to the little ones and watching them become amazing dancers makes me feel good to know that I had a small part in that.” Brenda has been dancing since the age of three. She started doing tap and ballet. At the age of six, she took a year off dance and did a song and dance group. After that she was on a competition clogging team for 17 years. In high school, she did some jazz and modern. During the last three years of her clogging career she taught clogging for children ages seven to eighteen. This is where she found her love of teaching. This is her fifth year teaching dance and second teaching tumbling at Synergy. 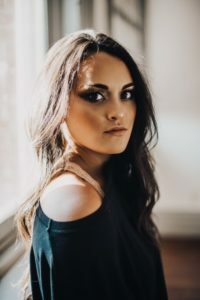 Mikaela began dancing competitively when she was five years old, training at Elite Academy & Synergy Dance Academy in ballet, hip hop, jazz, contemporary and lyrical. Competing solo and team routines at competitions and conventions all over the state. In high school, Mikaela was the captain of the Five Time State Champion Copper Hills Azurettes. She was also a member of the professional dance company “Underground”. This helped to broaden her knowledge on a wider variety of dance styles. Mikaela continued to dance after high school and was a member of the Utah State Dance Team (Aggiettes). She choreographed multiple pieces that were performed by the dance & cheer team. Mikaela also led the audition for the 2017-2018 team. During this time she was also a dance instructor at Dance Illusion in Logan Utah teaching Ballet, Hip Hop, Jazz & Lyrical. Jordan starting dancing at three years old and is trained in hip-hop, contemporary, modern, jazz, lyrical, ballet and ballroom. She studied at a variety of studios through Texas, Louisiana and Utah. In high school, she was the choreography officer of her dance company. She spent a brief period of time in Los Angeles, where she had the opportunity to train from professional hip-hop choreographers such as Parris Goebell, Andye J, Tabitha and Napoleon, Kyle Hanagami and Ian Eastwood, to name a few. She recently graduated from the University of Utah, where she was a captain of the ballroom team and founding president of the hip hop company. Jordan majored in Severe Special Education with a minor in Modern Dance. During that time, Jordan participated in a study abroad in Cusco, Peru, where she was able to take classes of many different styles, including bachata and salsa. Jordan has set and choreographed pieces in hip-hop, contemporary, ballroom and jazz for numerous collegiate companies or teams, high school dance companies, drill teams, studios and professional companies around several states. She has taught multiple masterclasses in Colorado, Idaho, Arizona, California and Nevada. She also has choreographed for several small dance films. She teaches middle school special education and absolutely loves it. She LOVES being a part of the Synergy family! JayCee Cole and has been dancing for 16 years. Growing up dancing she has been trained in all styles of dance. JayCee has been teaching all ages for about 5 years and has had the amazing opportunity to set choreography for many high schools, local studios, and professional companies. Alongside teaching she has also had the privilege to dance with a few on Utah’s professional companies: Odyssey Dance Theatre and Underground, as well as work with many great dancers such as Travis Wall, Brian Greene, Ro Malaga and Eldon Johnson. JayCee earned the “Sterling Scholar” dance scholarship award for her High School. Dance is purely her passion and she hopes to share and teach her artistic outlook with our new generation of dancers! Sam started dancing 7 years ago. In this short time, Sam has become a pillar in the local breakdance community. Sam has won multiple breakdance battles. Sam also enjoys hosting and running dance events. You can find Sam performing and teaching with the Bboy Federation & UDO. 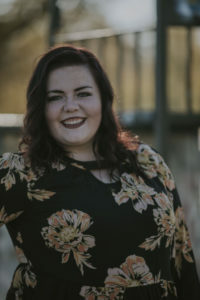 Sam has choreographed and performed in several shows including “They Reminisce,” and has worked at the collegiate level with UVU’s Mosaic team. Sam currently teaches at studios regularly and with dance workshops across the state. Amber T. Wade began dancing at the age of 3 with the Virginia Tanner Creative Dance Program on the campus of the University of Utah Utah and she hasn’t stopped. Her early years were spent performing and touring with Children’s Dance Theater including two trips to the Wolftrap Arts Festival in Washington, D.C. and numerous DACI conferences; some of her fondest memories come from participating in lecture demonstrations for elementary students across the state. She added ballet and jazz to her training, studying with Miki Casalino and Janet Gray Studios. Amber earned her B.S. in Dance Education from Utah State University and spent the next 10 years teaching grades 7-12 in Granite School District. During this time she also earned her M.A. in Dance Education from California State University, Long Beach. 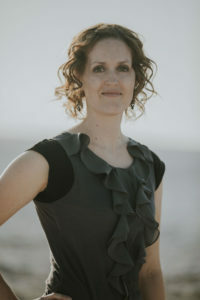 Amber spent 7 years teaching at Utah Valley University in the Dance Department including Composition, Improvisation, Dance Conditioning, various Dance Education classes and a student teaching mentor. She also piloted and helped implement the Dance Production and Senior Capstone courses. Amber has presented at the National Dance Education Organization annual conference and has been a member of the UDEO Board. She also has spent time as an audition judge, adjudicator, master class teacher, and guest artist across the state. 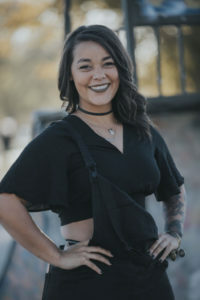 Amber is also an accomplished costume designer designing and constructing original costumes for Myriad Dance Company, Southern Utah University, Idaho State University and local high schools including Salem Hills, Brighton and Davis High schools to name a few. She is the wife of a soldier and proud mom to 3 boys. She enjoys traveling, cooking, Pilates, and gardening. Amber is excited to join the Synergy Dance Academy family and bring her diverse background and experience to her students. Chris Lamoreaux was born with a love for dance. She started her ballet training at the age of 3, and at that tender young age became hooked. 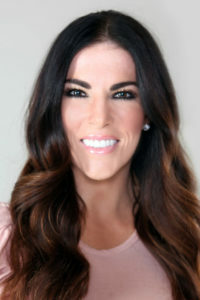 Her training includes such greats as Joe Tremaine, Doug Caldwell, Mia Michaels and Wade Robson. She has extensive knowledge in all dance genres with an emphasis in ballet, tap and jazz. Her one claim to fame was being cast as a dancer in the movie “Footloose” starring Kevin Bacon. She owned Lamoreaux Dance Co. in Draper, Utah from 1982 – 1988, and moved to Boise, Idaho in 1988. While in Boise, she was very active in the dance community. She coached the Borah and Boise High School Drill Teams. She was the owner/operator of Dance Arts Academy from 1997-2003. Chris belonged to the Boise Dance Teachers Assoc. (BDTA), and Idaho Dance Arts Alliance (IDAA) from 1988-2003. She held the offices of Secretary, Vice President and President of both organizations during that period. Chris was appointed Director of Dance at the College of Southern Idaho (CSI) for the summer intensive workshops sponsored by IDAA from 1999-2003. She has been judging for 30+ years and has judged in the states of Utah, Idaho, Nevada, Montana, Wyoming and Minnesota. She was a certified judge for UHSAA in drill for the past 5+ years, but is currently on a break. She judges studio competitions in the Spring locally and nationally. Chris is currently teaching at Synergy Academy in the Rec program and absolutely loves her students! Chris is the proud mother of two children and 5 grandchildren and believes that they are her greatest accomplishment in life. She is proud to say she is a part of #synergystrong!! Christian Tippetts is a dance artist, teacher, and choreographer native to Utah. He has always held a zest for performing but began formal dance training at Alta High School where he took a beginning ballroom class from Candice Wilson. Christian was a member of Alta Ballroom Team for his junior and senior years, where his passion for dance was kindled. After graduation, he pursued a bachelor’s of fine arts in dance with an emphasis in ballet from Utah Valley University, which he completed in the spring of 2017. 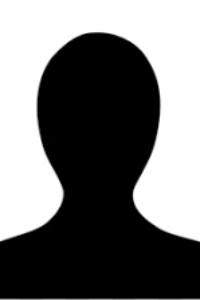 During the summers of 2014 and 2015, he attended Ballet West Academy summer intensives. Christian was privileged to be a member of Repertory Ballet Ensemble for four seasons, under the direction of Mark Borchelt, Heather Gray, Jamie Johnson, and Nicole Ortega. His guest artist credits include work with Utah Regional Ballet (Snow White, Romeo & Juliet), Mountain West Ballet (The Nutcracker, Sleeping Beauty) and Oquirrh Mountain Ballet. At the Utah Conference of Undergraduate Research in 2017, he presented a dance history project on George Balanchine’s Davidsbundlertanze. In addition to teaching at Synergy, Christian also teaches boy’s, men’s and partnering classes at En Pointe School of Ballet. He is truly blessed to work with the talented dancers at Synergy and hopes to continue to guide them to achieve their full potentials of technique and artistry. Melissa started her dance training at the age of 3 in Ohio. She has trained in Ballet, Tap and Jazz but ultimately chose Ballet as her favorite form of dance. While in Ohio, she trained under multiple Ballet teachers and was part of a Ballet company where she performed at many venues around the state including King’s Island and Coney Island. After moving to Utah with her family at the age of 10, she trained under Christy McQuaid and performed in Ballets with a few different companies. She suffered an injury in high school which prevented her from continuing her training so she turned to teaching right after graduating. She started a neighborhood studio in her basement with just a few students. After 6 years of teaching, her small studio had grown tremendously and many of her students have gone on to perform in Ballets with Ballet West, Mountain West Ballet and other companies around the state. She took a break from teaching for a few years after having her second baby and started back up when she joined the Synergy staff in 2013. Melissa also enjoys doing nails (she graduated from Cameo College of Essential Beauty in Nail Technology in 2012), reading, and most of all, spending time with her husband and 3 kids!